Since its formation in 1989, Rope Access Specialists (RAS) has gained wide ranging experience in industry, working in high and difficult locations. 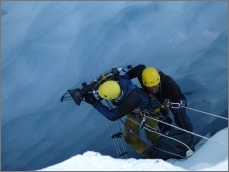 The company specialises in rope access rigging, safety supervision and advice for film and TV. It also provides rope access equipment and work at height training.